sedan sales have been cooling off for months now as the red-hot suv market continues to gain traction, but when it comes to mid-size sedans, the competition continues to bring the heat. 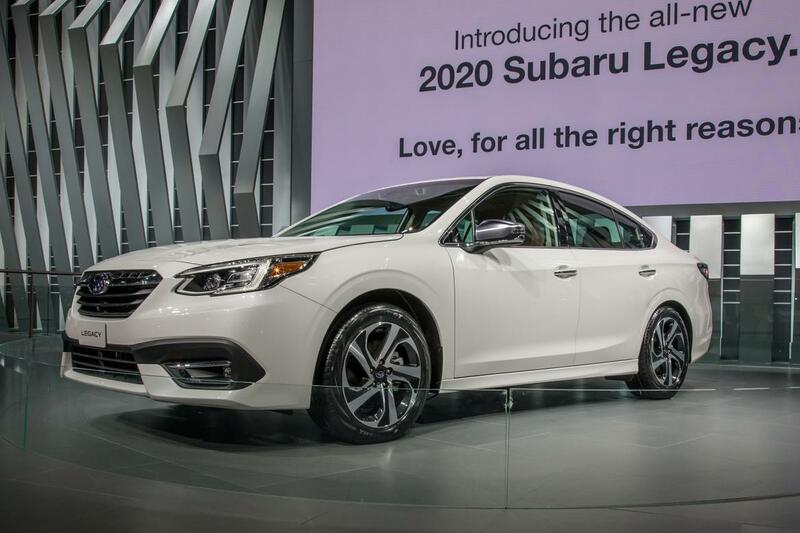 a redesigned 2020 subaru legacy debuted at the 2019 chicago auto show with more polished looks, a huge multimedia touchscreen and added safety features. 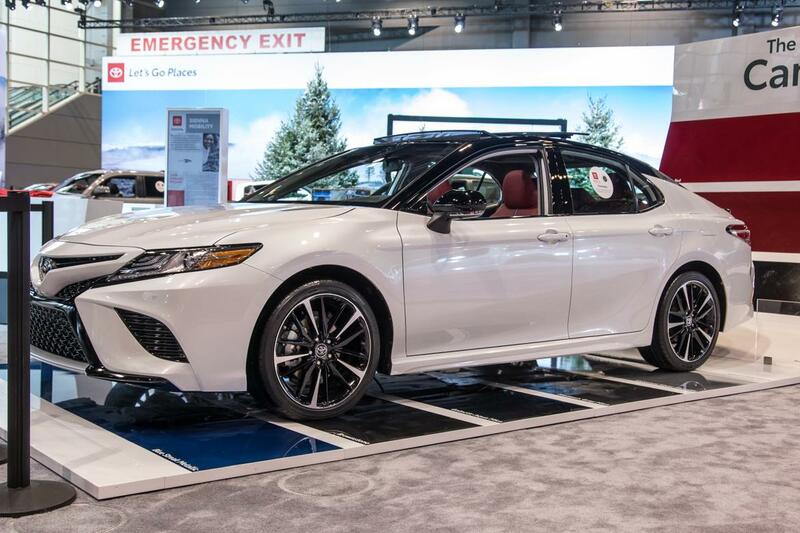 in the last year, heavy hitters in the class have also unveiled redesigned or updated models, including one of the most popular vehicles in the class, the 2019 toyota camry. so how does the new legacy compare? each demonstrated clear advantages over the other after checking both out on chicago auto show floor. 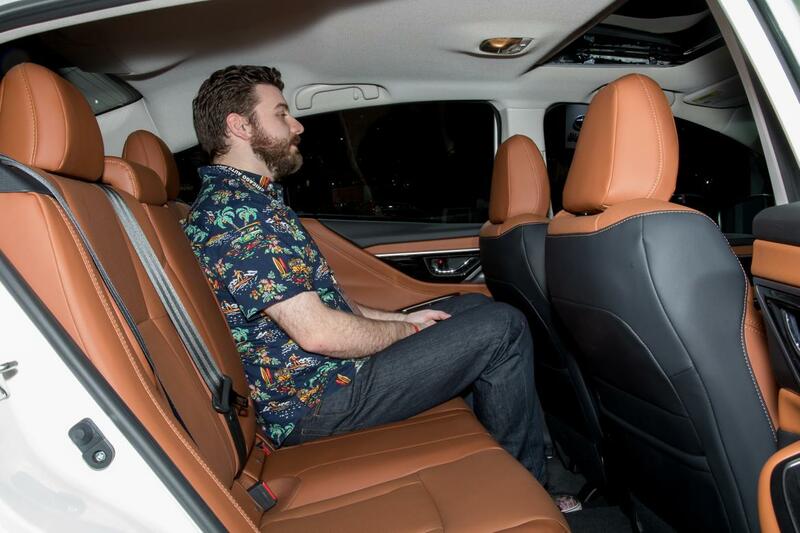 we looked at interior quality, multimedia systems, storage spaces and the backseat room of each sedan's top trim levels. we'll eventually get behind the wheel, but here's what stood out after climbing through each model at the auto show. the camry's top xse trim is well-done. everything feels high quality in front, and more surprisingly, the materials maintain that consistency in the backseat, where sometimes corners are cut. highlights include its handsome stacked-dashboard design, plush leather seats and interesting looking accents on the dashboard and doors. 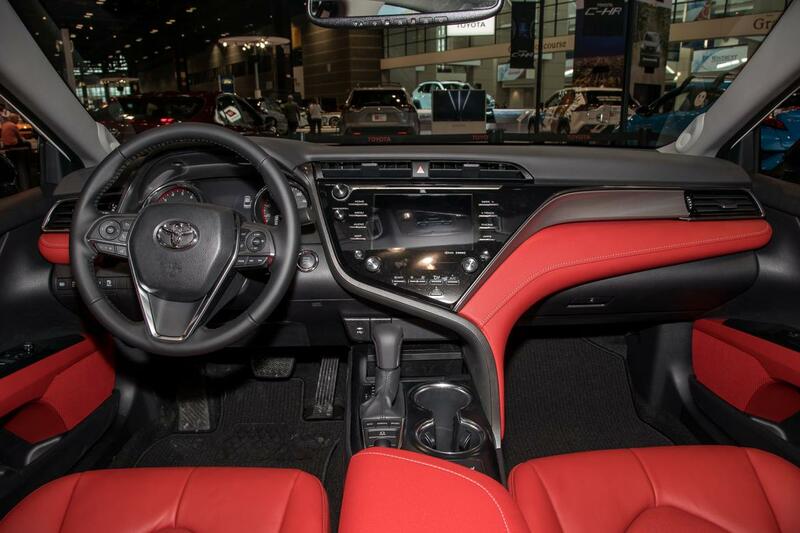 the legacy's new top trim, the touring xt, matches the camry xse for materials quality and attention to detail, delivering a luxury vibe to a cabin previously known for its utilitarian feel. the camry has a slight edge in this category, however, because i know materials quality is also good in lower trim levels. that remains to be seen with the new legacy; only the top trim was at the show. 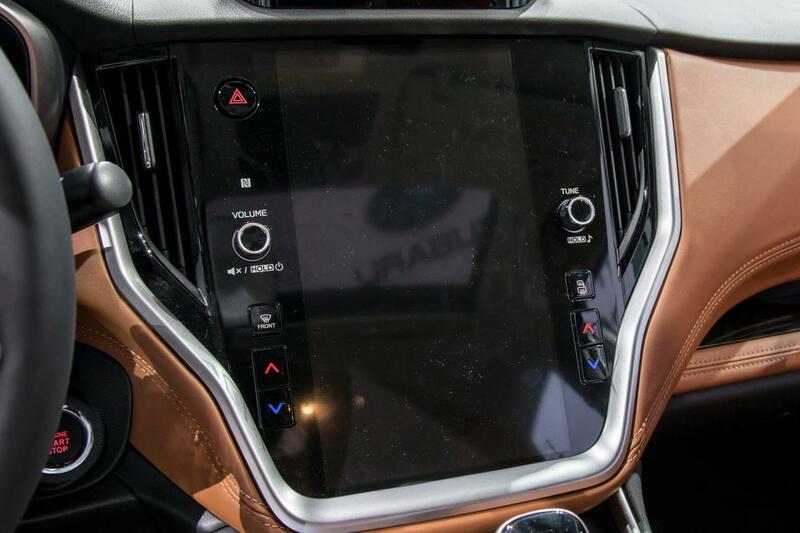 the legacy touring xt's gigantic vertical touchscreen steals the show. 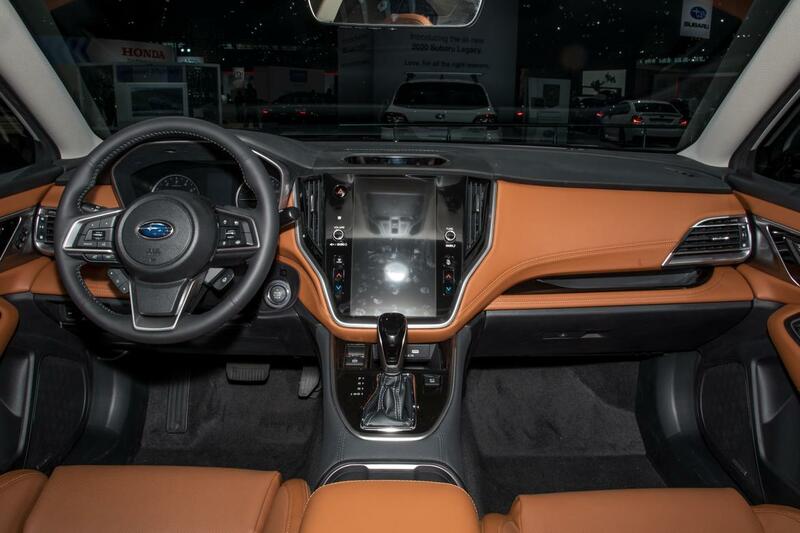 the 11.6-inch screen is front and center in the cabin, giving the dashboard a slick, modern vibe. bonus: it features two must-have knobs for easy tuning and volume adjustments. although my time with the system was brief, it looked straightforward - much like subaru's other multimedia system - so i have high hopes that it will work as well as it looks. in contrast, the camry's system falls short in a few ways with a tired, overcomplicated jumble of screens, panel buttons and knobs. 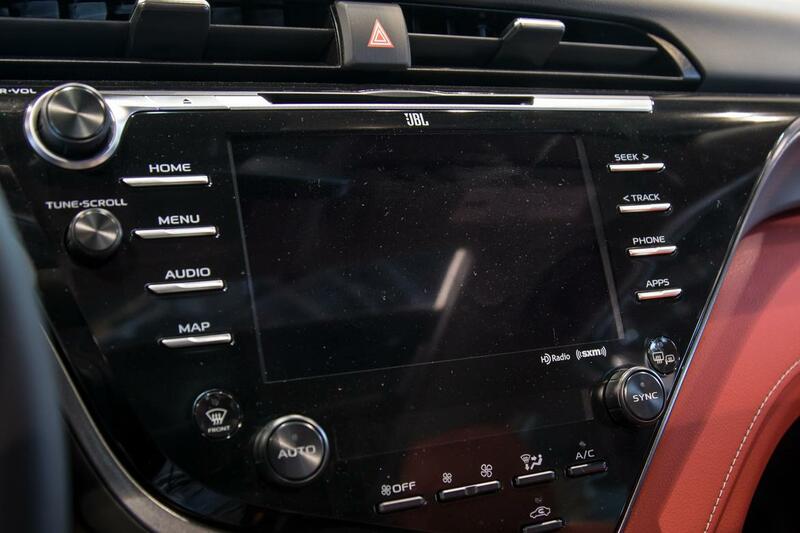 what's worse, the graphics look dated and although toyota finally added apple carplay for the 2019 model year, android auto is still unavailable; the legacy's system is compatible with both. 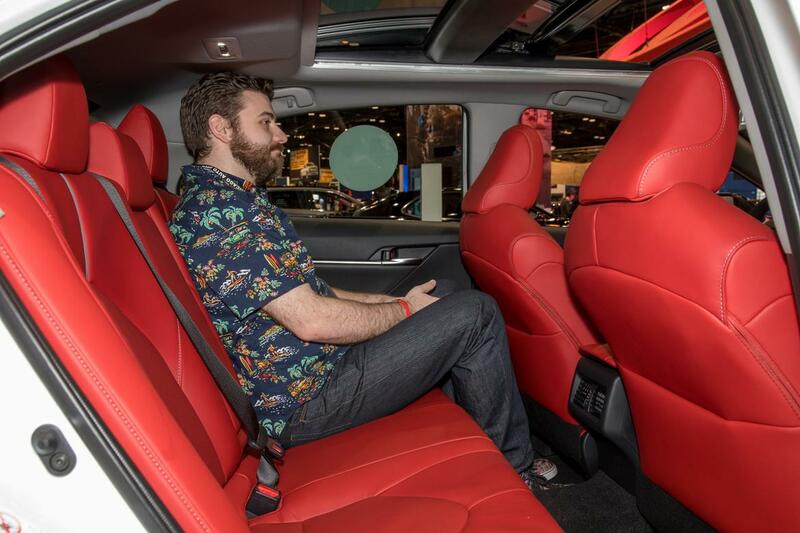 at 5 feet, 6 inches, i had ample head- and legroom in both backseats, and each sedan offers comfortable enough back and bottom seat cushions for long-ride support; production editor brian normile (6 feet, 1 inch) is shown in photos. both models have a slight floor hump in the middle, making the middle spot the least appealing, but legacy has a tiny edge here for more available toe space under the front seats. by the numbers, its backseat is a tiny bit roomier too. the camry xse offers 38.0 inches of rear legroom, and although subaru hasn't released full specs for the legacy, the automaker says the new model has more backseat room than the outgoing 2019 subaru legacy that had 38.1 inches of rear legroom. 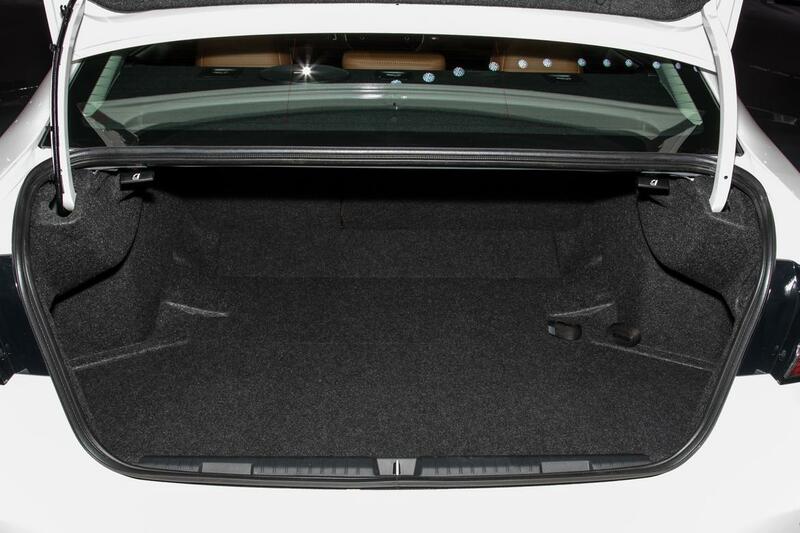 by the numbers, the camry and legacy offer the same amount of trunk space: 15.1 cubic feet. 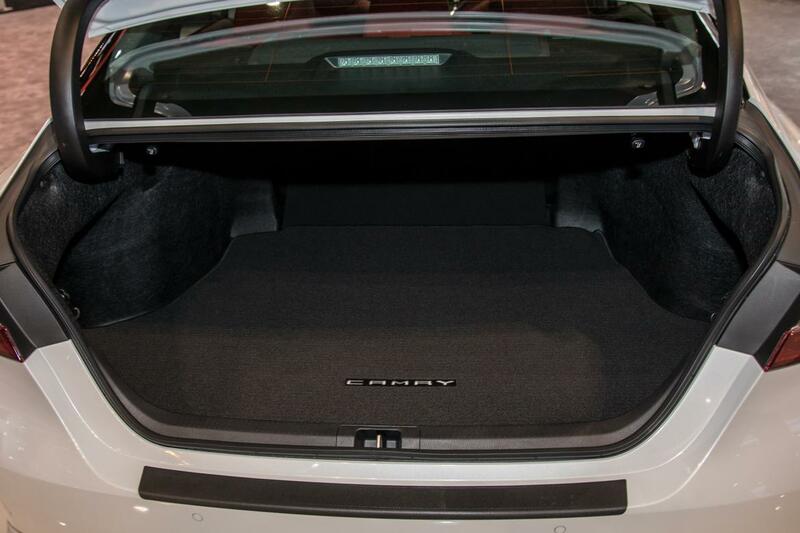 however, the legacy gets the extra point here for its use of the trunk space. its hinges are enclosed so they won't crush packages when shutting the trunk; the camry's hinges are grocery-bag squishers. for extra cargo room, the legacy also has standard mounting brackets on the roof for installation of a rack, box or tray. in small items storage, however, both models offer a large center console and several storage cubbies in the front. the camry gets points for the large cubby under its climate controls: it's bigger than the legacy's and wide enough to stash a couple devices and snacks. the camry loses points for an unlined center console box; everything in there will rattle around loudly. the legacy's box has cushioning. 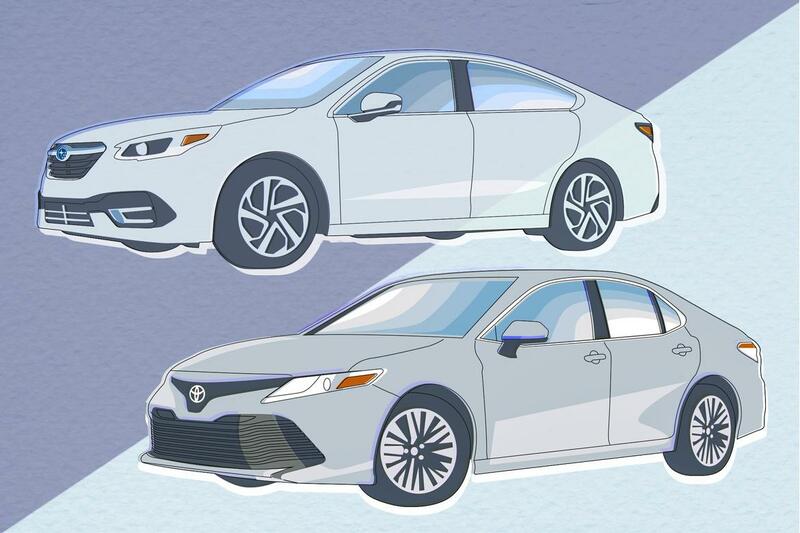 there's a lot to like about both sedans, but the camry came in third in our most recent three-car mid-size sedan challenge, and although we haven't driven it yet, the legacy has all the marks of becoming a top contender in the class. the 2019 toyota camry is on sale now; the new 2020 legacy hits dealerships in fall of this year. stay tuned for legacy pricing closer to the vehicle's on sale date.